In business, politics and romance, it would be nice to know when were being lied to. Unfortunately humans arent very good at detecting lies. Our natural tendency is to trust others. Part of the problem is that there are no obvious cues that separate lying from truth telling. Another part of the problem is that we often use the wrong cues such as guessing. That does not mean that it is impossible to judge whether someone is lying. Warning: sometimes ignorance is bliss. After gaining this knowledge, you may be hurt when it is obvious that someone is lying to you. 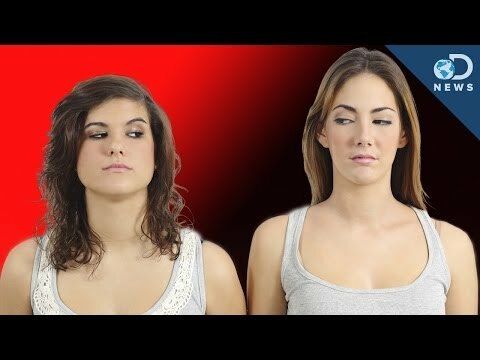 Looking at facial expressions to determine whether a person is lying might just save you from being a victim of fraud. Or it could help you to know it’s safe to trust your heart and get involved with an attractive stranger.It takes a little practice but having this skill can be fascinating! This knowledge is useful for managers, employers, and for anyone to use in everyday situations where telling the truth from a lie can help prevent you from being a victim of fraud/scams and other deceptions. A person who is lying to you will avoid making eye contact. Watchout at eyebrows of the person who is lying, eyebrows may be being drawn upwards towards the middle of the forehead, causing short lines to appear across the skin of the forehead. Hands touching their face, throat & mouth. People tend to touch the nose more when lying and a great deal less when telling the truth, Touching or scratching the nose or behind their ear.Not likely to touch his chest/heart with an open hand. You can usually tell if a person is remembering something or making something up based on eye movements. When people remember details, their eyes move up and to the left if they are right-handed. Watch the eyelids. These tend to close longer than the usual blink when a person sees or hears something he or she doesn’t agree with. However, this can be a very minute change. A person’s voice can be a good lie indicator. He or she may suddenly start talking faster or slower than normal, or the tension may result in a higher-pitched or quavering tone. Stuttering or stammering may also point to a lie. It’s very hard for a liar to avoid filling silence created by you. He or she wants you to believe the lies being woven; silence gives no feedback on whether or not you’ve bought the story. Liars try to read you to see if you’ve bought the tale. If you don’t show any signs of something to monitor, many liars will feel uncomfortable. If you’re a good listener, you’ll already be avoiding interruptions, which in itself is a great technique to let the story unfold. Practice not interrupting others if you have this tendency — not only will it help you to detect lies but it’ll make you a better listener generally.